Have I mentioned before that Minnie loves collecting sticks & twigs when we go for walks? Sometimes we have to limit the number coming home with us (!) that is unless we have our trusty pushchair! 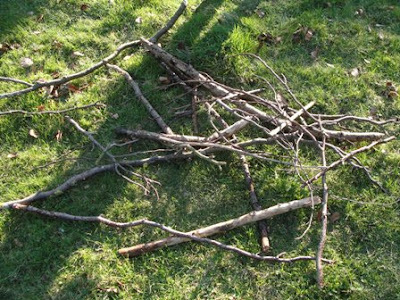 Minnie has built up quite a collection of sticks, which for the last few weeks have been sitting in a redundant pile at the bottom of our garden. When I suggested we could make something with the them Minnie was very keen. I thought we could create a picture by laying them flat out on the grass, but Minnie had a better idea. 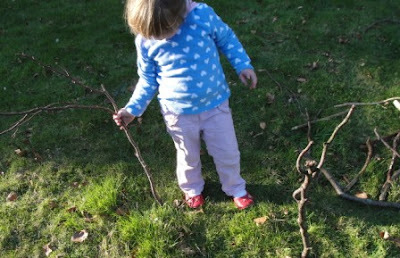 She collected some of the branches & started to try & push them into the ground. 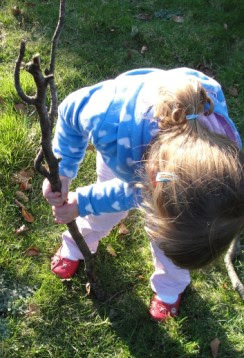 Obviously she hasn't quite got the strength to do this yet, so as she positioned the sticks I offered to push them into the grass for her. 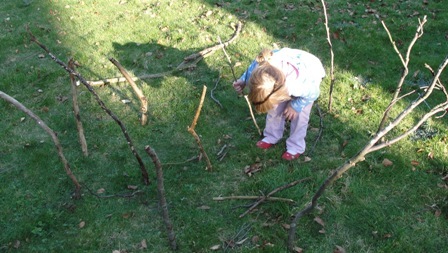 She continued to independently select sticks, one at a time, & positioned them where she wanted them to be go. 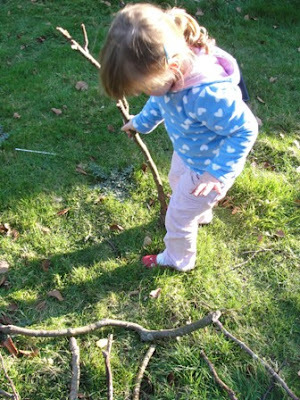 I loved watching her decide which stick to use & where to place it. 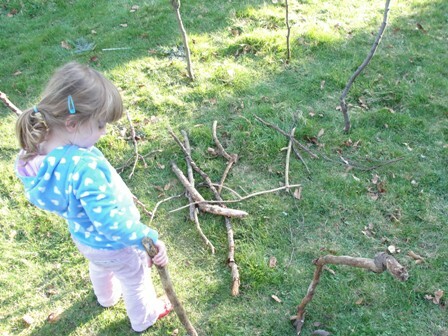 As Minnie positioned the sticks a circular shape began to appear. She then added more sticks to the centre of her sculpture. Here's Minnie's finished sculpture which looked beautiful in the late afternoon sun. 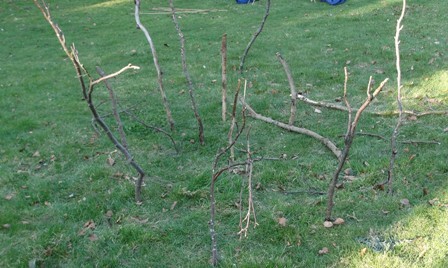 The sculpture also offered something new the following morning as the branches cast amazing shadows across the garden. It was great to see Minnie in total control of this activity, & wonderful to see her creativity flow with these beautiful natural materials. 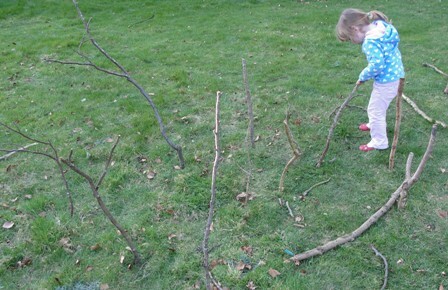 I'm so proud of her first natural Land Art creation, & can't wait to introduce her to the beautiful works of Andy Goldsworthy!